New York University - Stern has no minimum standarized test score requirements. We only consider your highest overall GMAT score, highest GRE scores (from the same exam) and/or highest overall TOEFL score (if required.) Therefore, feel free to re-take a test if you believe you can improve your performance. INSEAD- We prioritise your most recent score. However, if you have achieved a higher score on a previous test within the last five years, we will consider your higher score along with your most recent score. IESE- If you submit multiple test scores, we will automatically use the highest score presented. Harvard - The Admissions Board acknowledges and reviews only GMAT or the GRE scores submitted in the online application. Columbia- You will not be penalized for taking the GMAT more than once. We will only consider your highest GMAT score from one exam. We do not average scores from multiple exams. 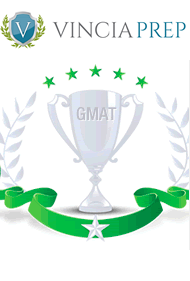 LBS- We allow you to take the GMAT any number of times and will only use your highest score. However, if your score goes down each time you retake the exam, or your score does not increase, we may take note of this. Wharton- You will not be penalized for retaking the GMAT Test to improve your score. If you have multiple test scores, your application will be evaluated with the highest scores received. Over the years I've talked to a fair number of admissions counselors and the answer is always the same. The take the highest score, BUT they do also take into account your progression on each test. That is, if you scored a 550, then a 560, then a 580, and then a 600, the admissions committee probably won’t look upon your multiple tests favorably. If you score a 600 and then a 700 though, you won’t be penalized. Thus, if you take the test multiple times and if you didn’t progress more than 40 or 50 points between tests, you should take probably cancel your test score. Cheers! 115 rue Notre-Dame des Champs 75006. 41 rue de la Chaussée d’Antin 75009.